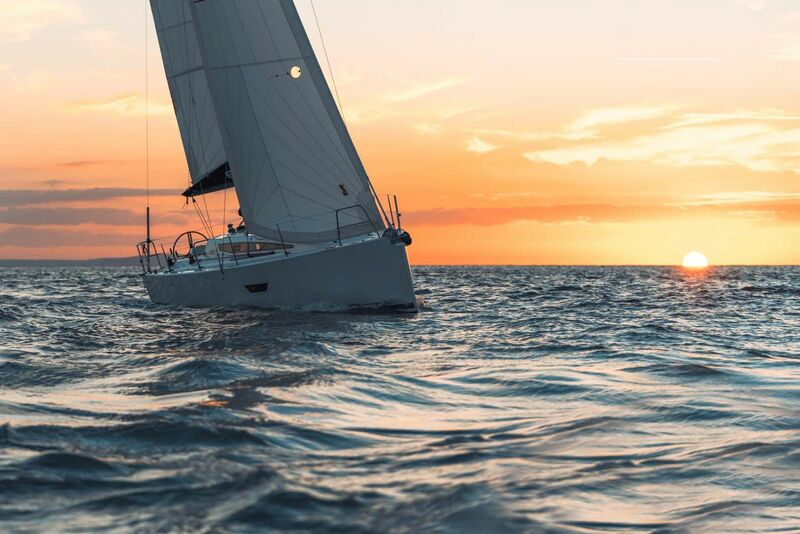 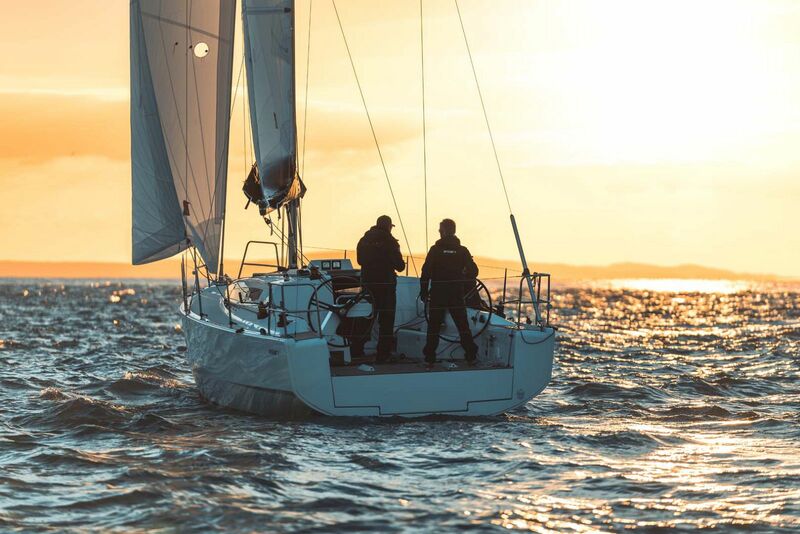 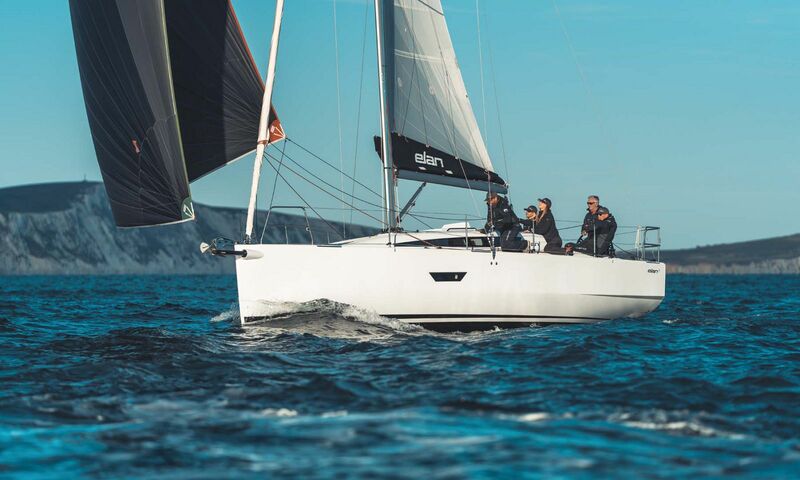 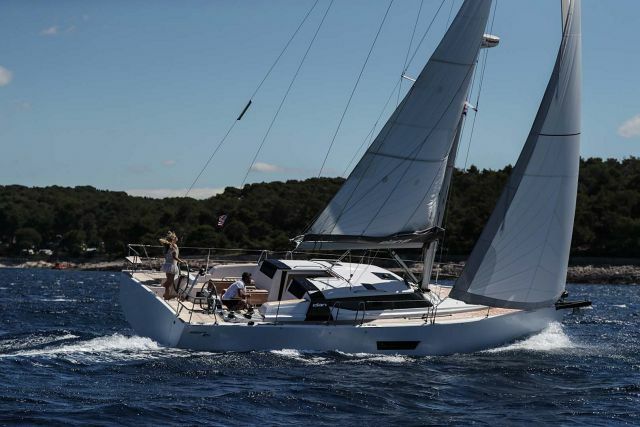 As winner of the SAIL Magazine's Best Boat Award, the Elan Yachts E4 had to undergo a series of rigorous sea trials by the publication's judges. 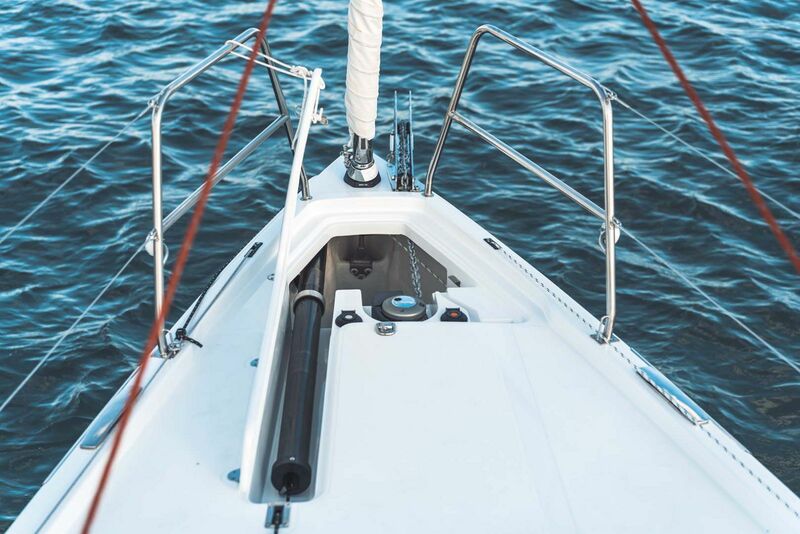 The E4 was described as "the perfect blend of fast sailing abilities and comfort below deck as well as with some of her innovative solutions such as the retractable cockpit table and the removable transom beam that converts into a passarella." 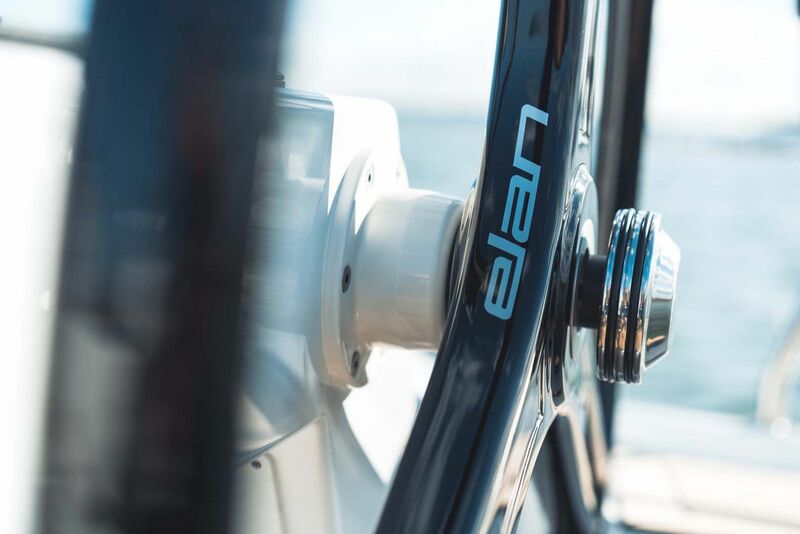 Having once again consolidated Elan’s reputation as a builder of exciting performance-cruising sailing yachts, where neither performance, nor the cruising capabilities were left to compromise. 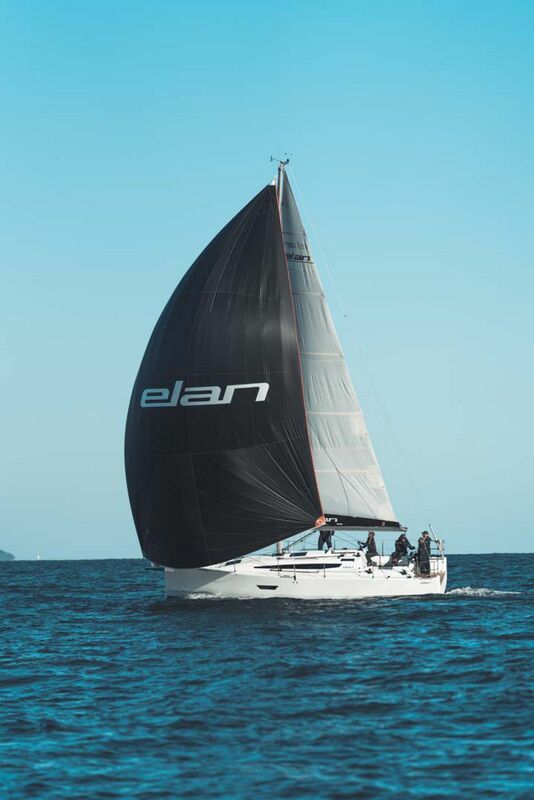 In addition to her elegant and sporty design, the Elan E4 features integrated toerails and flush hatches on the coachroof as well as new rotating plotter pods on the steering consoles, for complete control over the elements. 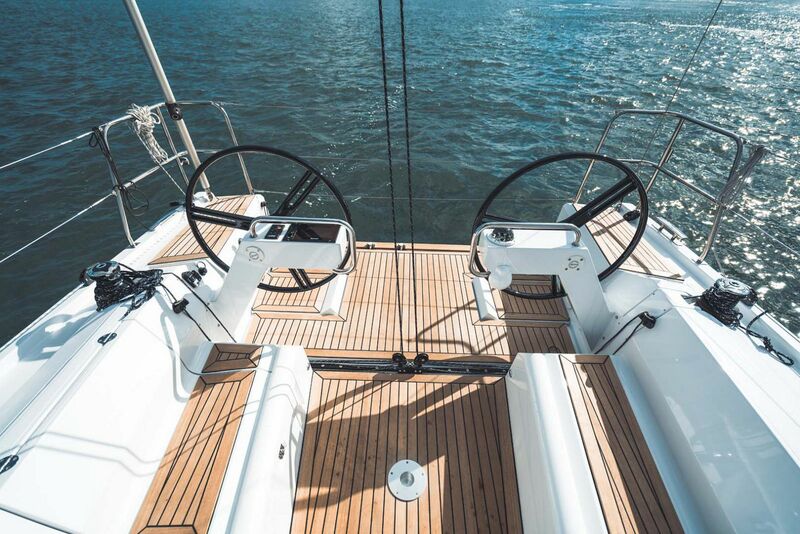 She has a wide transom, twin rudder arrangement and chined hull deliver excellent control even at high heel angles. 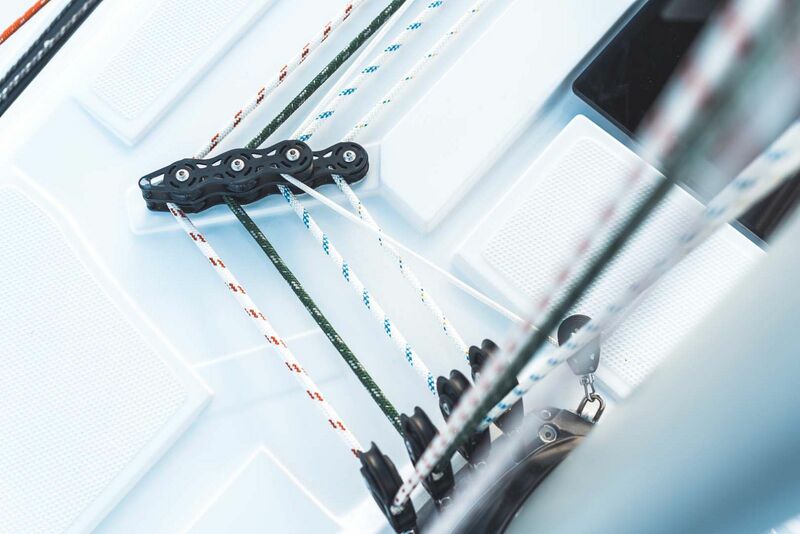 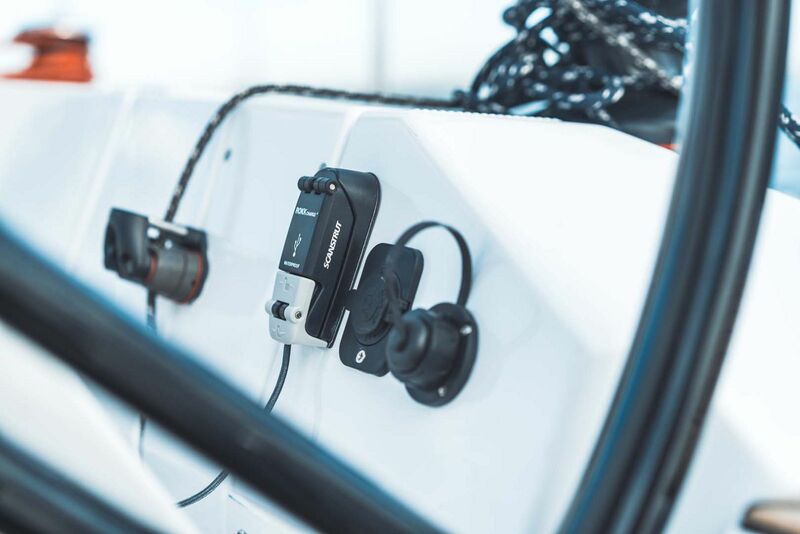 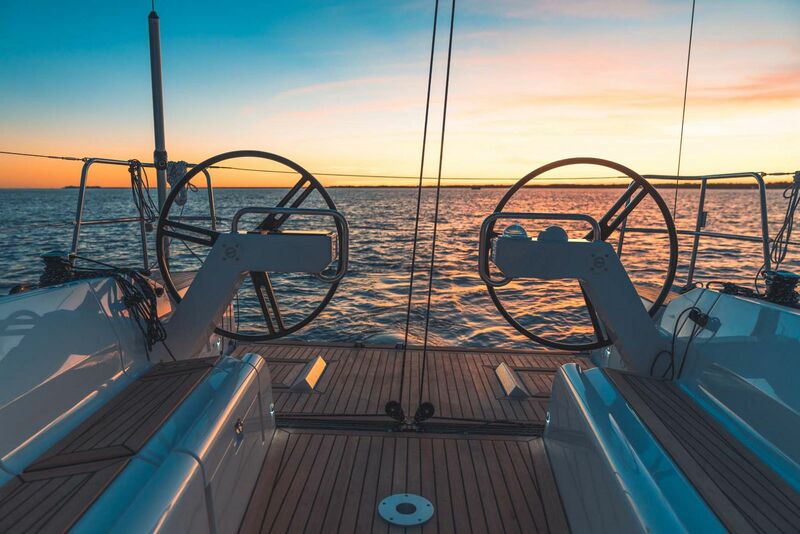 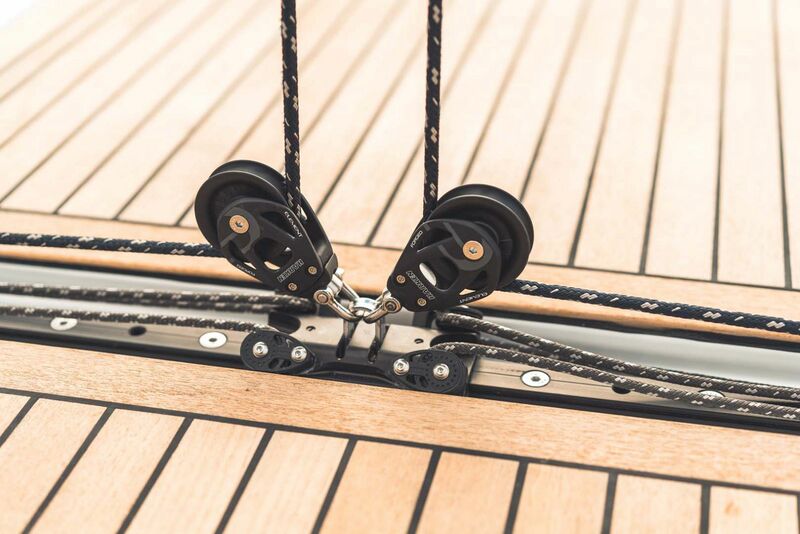 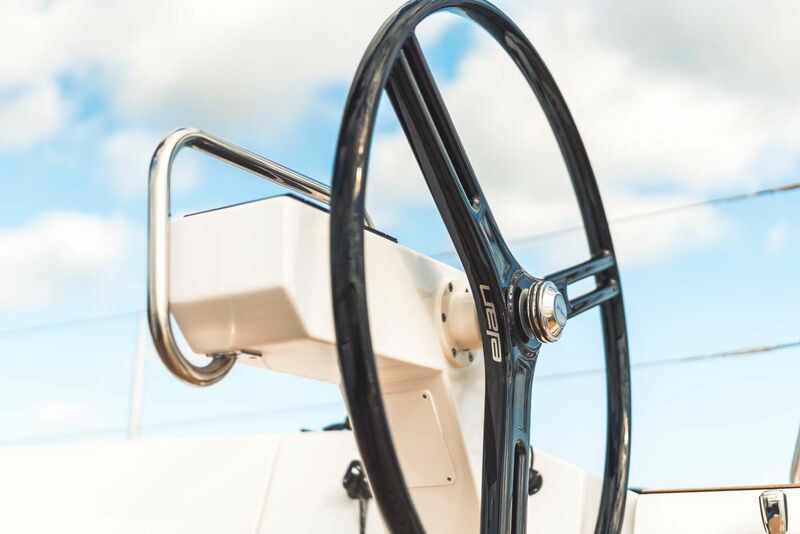 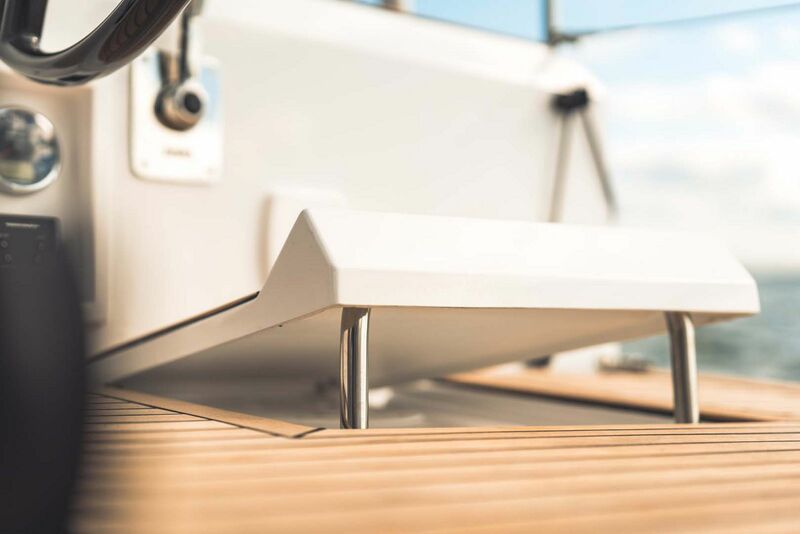 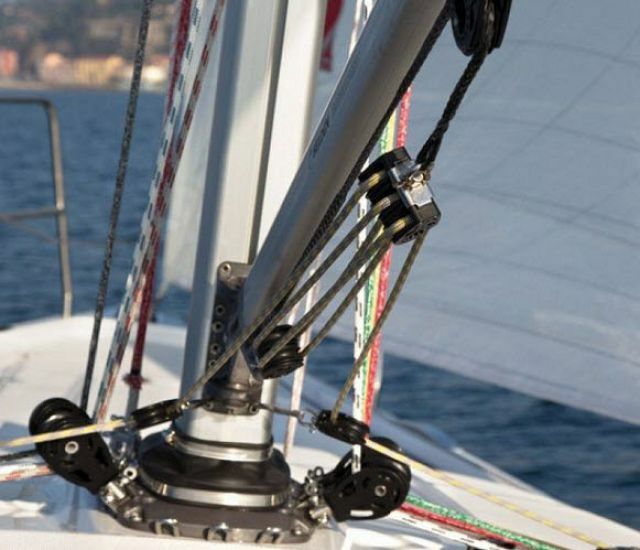 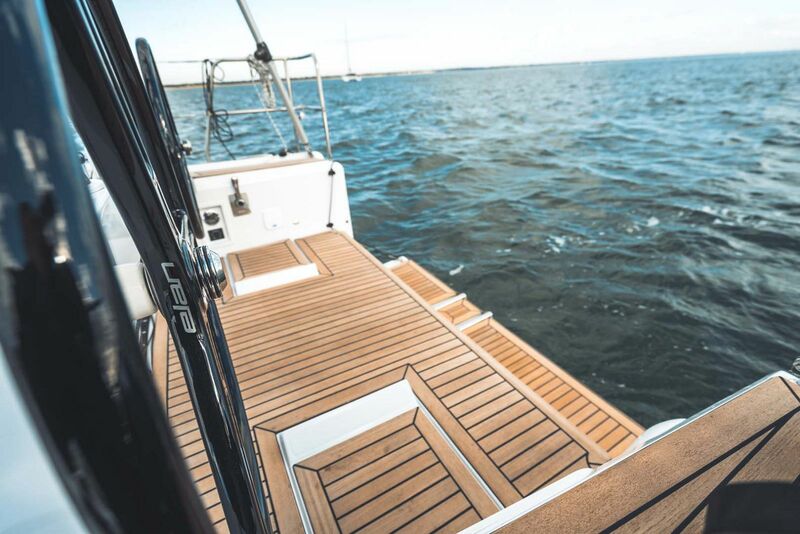 Her T-shaped keel ensures a lower center of gravity and improved righting moment, which in turn allows for a lighter displacement than would otherwise be possible. 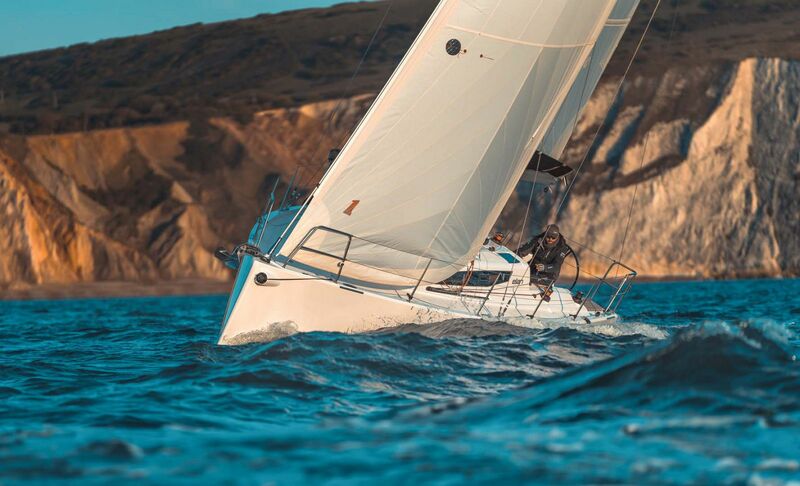 The end result provides an exhilarating sailing performance, which one would usually expect only to find on much bigger boats. 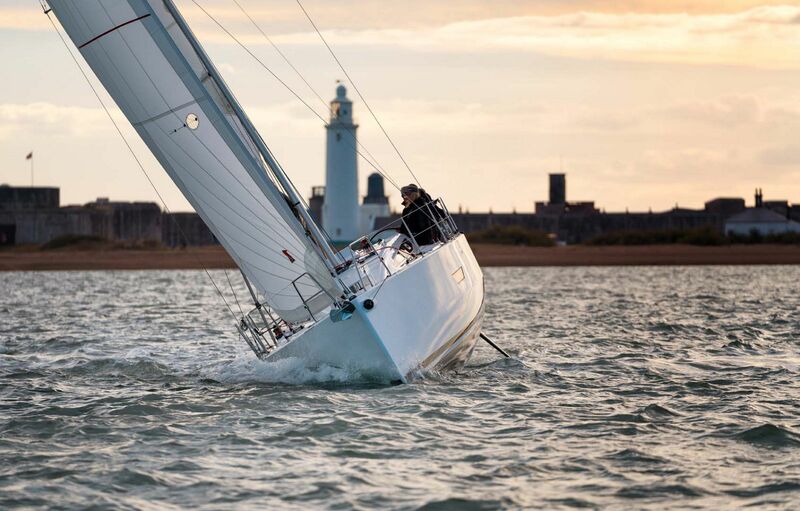 Maybe the best feature yet is how effortless she is to sail, even in challenging conditions. 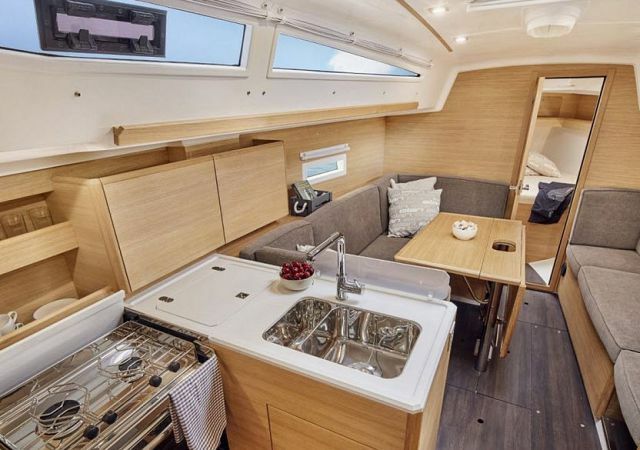 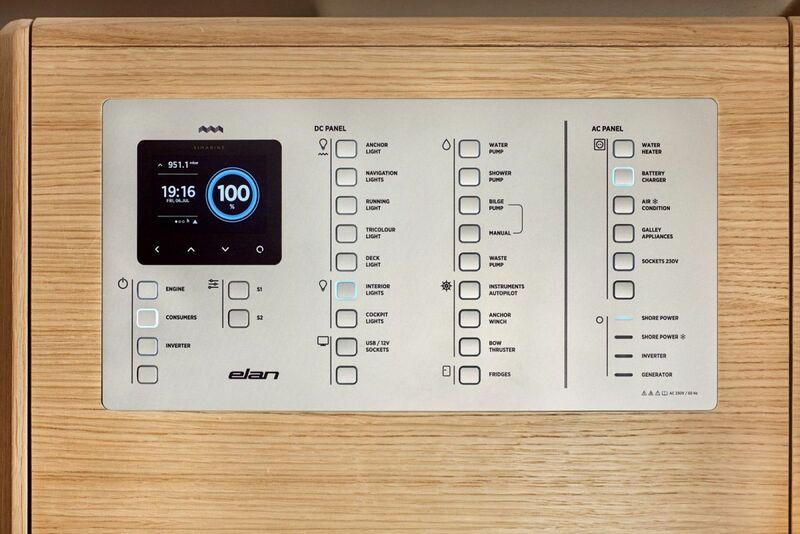 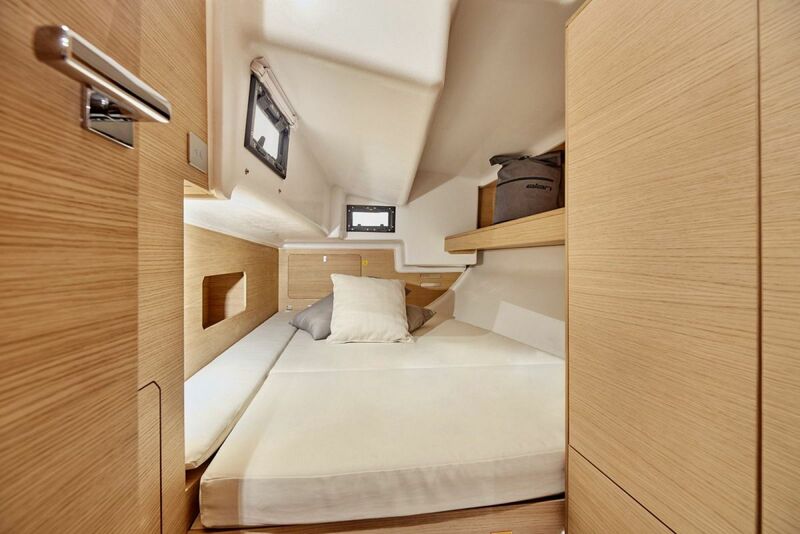 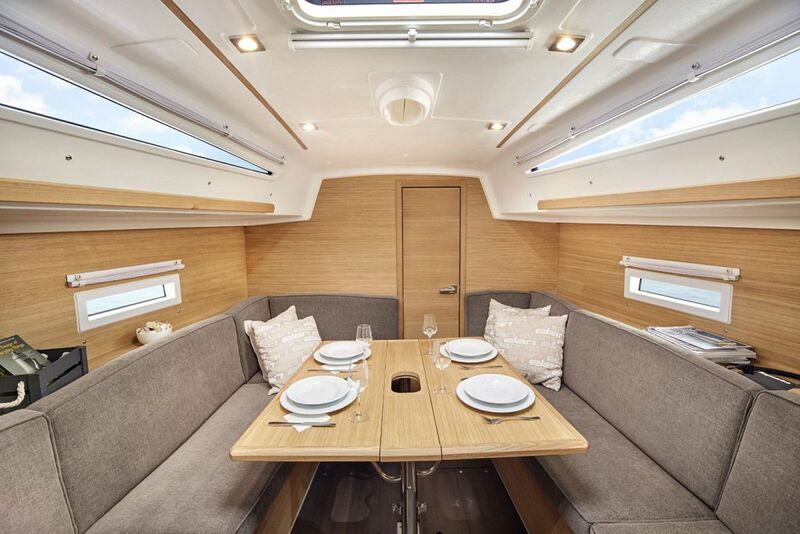 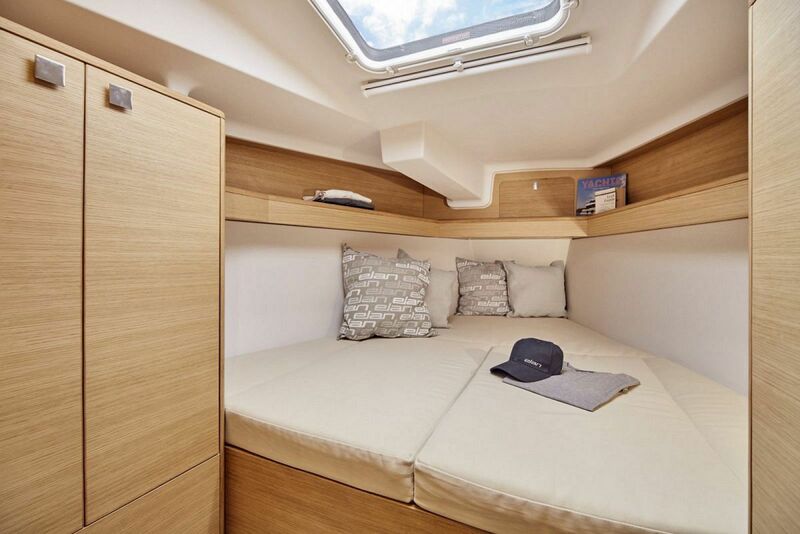 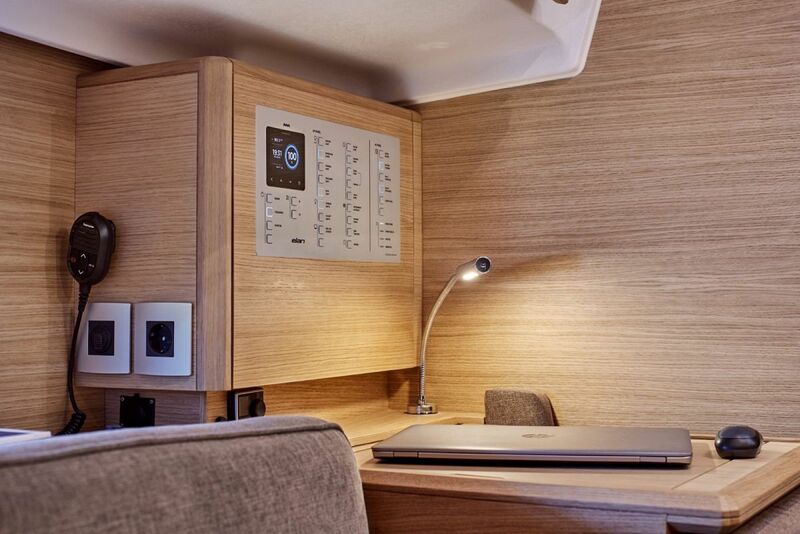 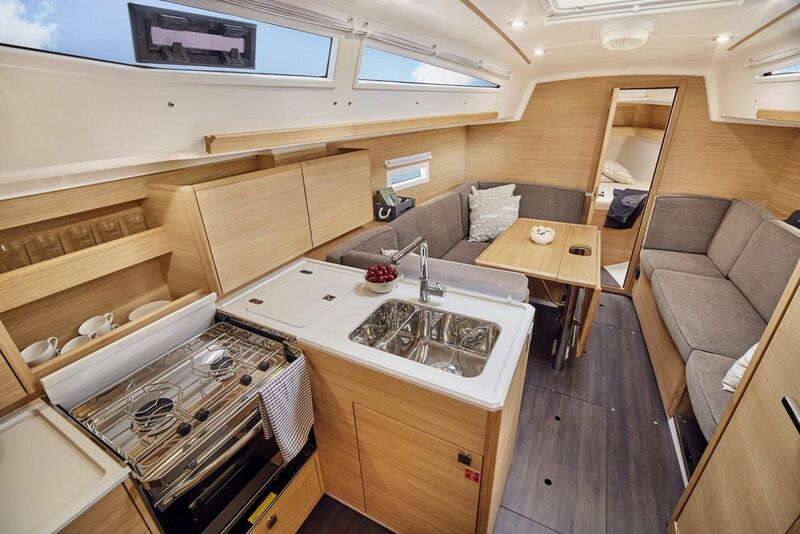 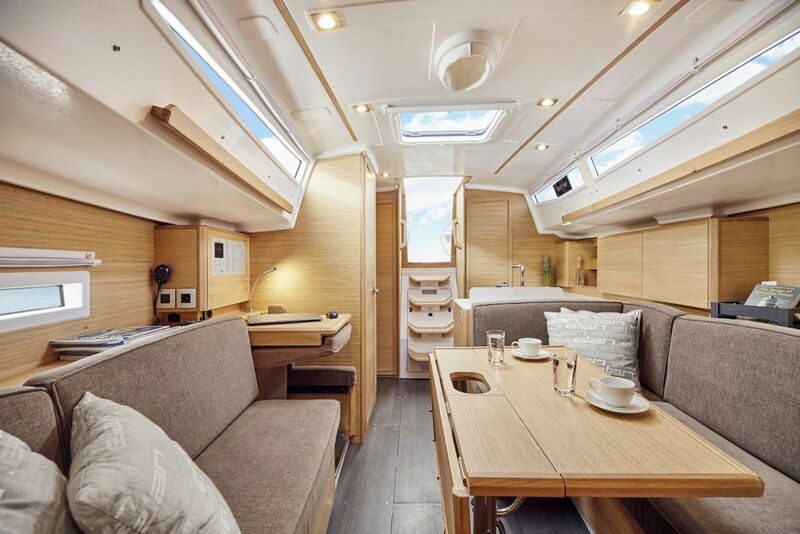 Below deck, the Elan E4 features a two-stateroom layout that has a V-berth placed forward and a a spacious double cabin that is located aft portside. 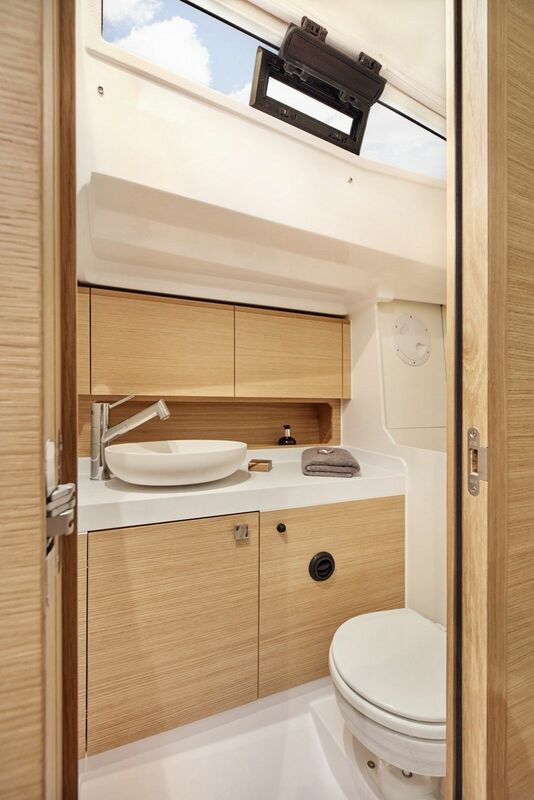 This design opens up space for a very large cockpit locker, but at owner's request this can become an optional third stateroom. 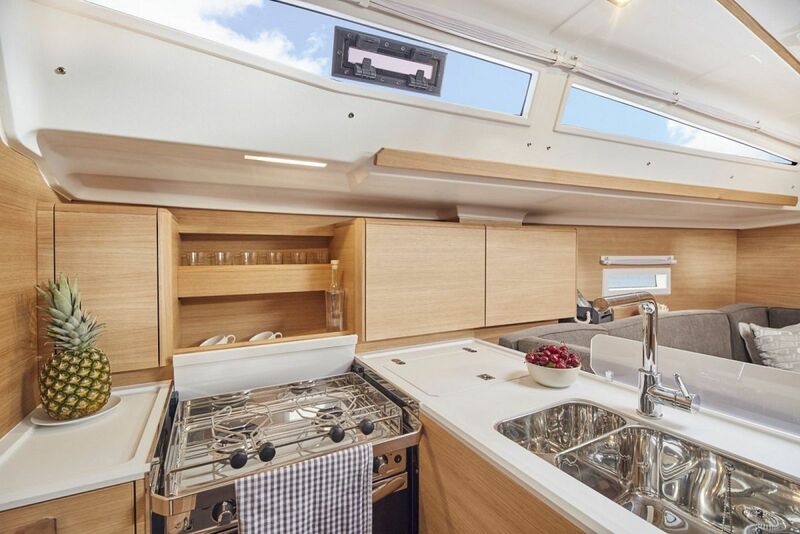 The main cabin features a U-shaped lounge opposite of a couch with a folding dining table and an L-shaped galley is placed portside. 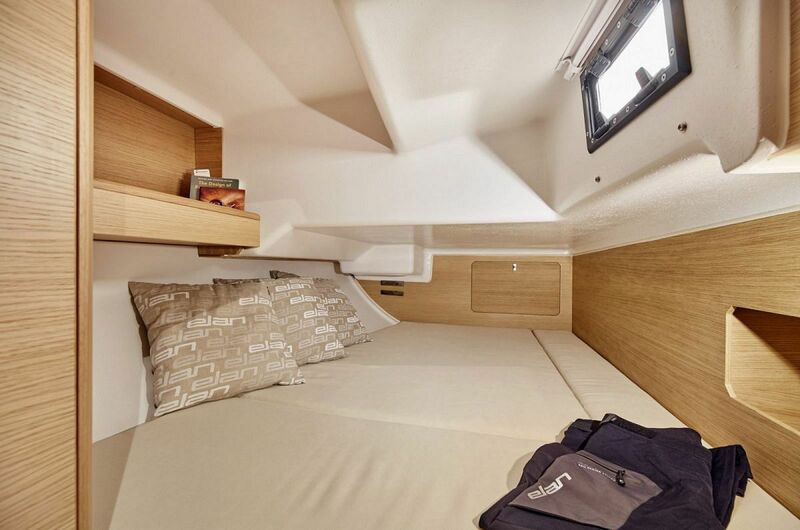 Overall, this is plenty of space both above and below deck for your fellow sailors to rejuvenate after a long day on the water. 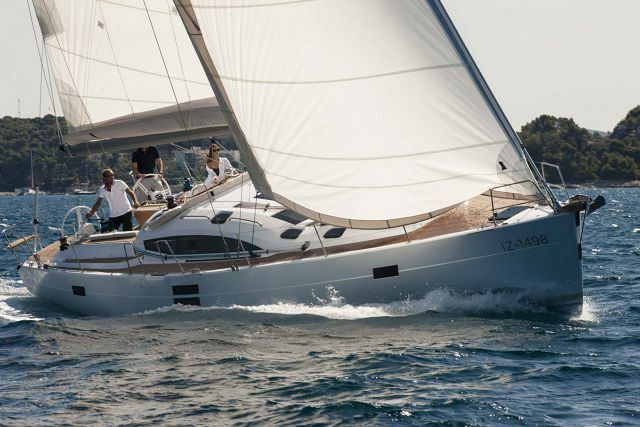 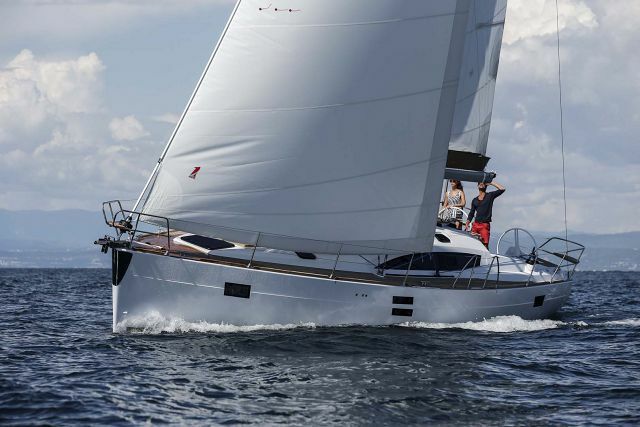 If you'd like you find out more about the Elan Yachts E4 sailboat, contact your Seattle Yacht Sales Professional today. 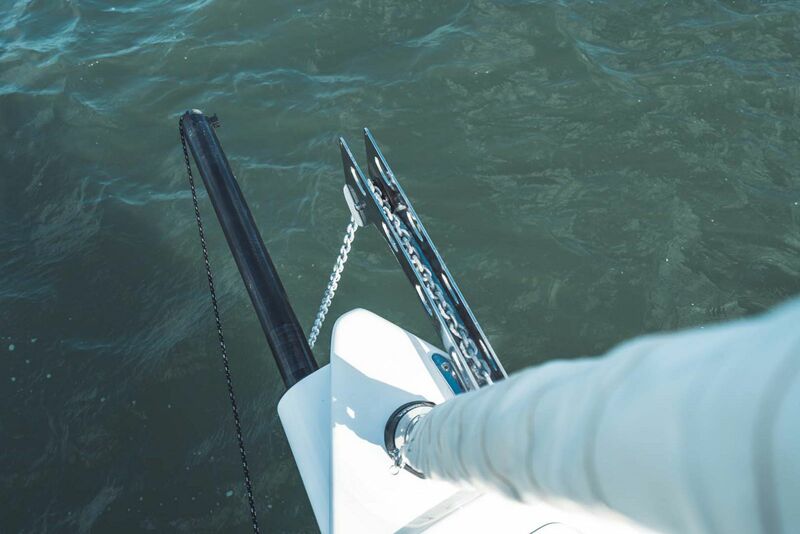 Water Tank Capacity: 48 Gal.